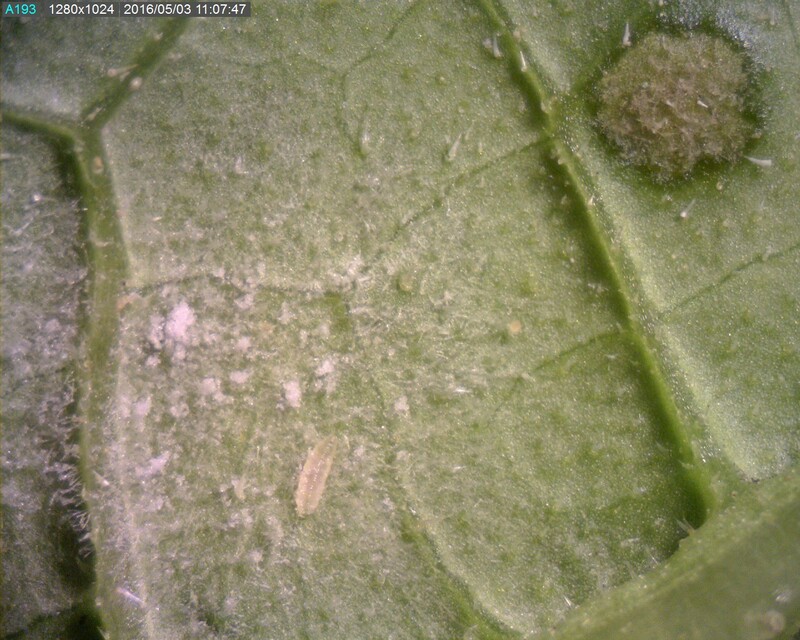 This morning we looked a Spaghetti Squash in the southern part of the county that is showing symptoms of downy mildew. We were able to get back to the office and confirm both downy and powdery mildew. 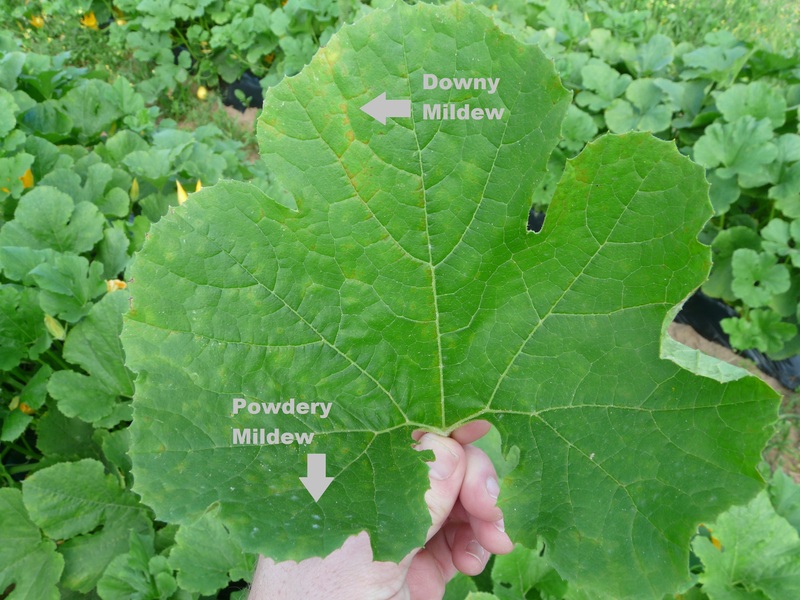 We usually see powdery on the upper side of the leaf and downy on the lower side. With downy, the yellowing will stay within the veins, and powdery will cross over the veins. 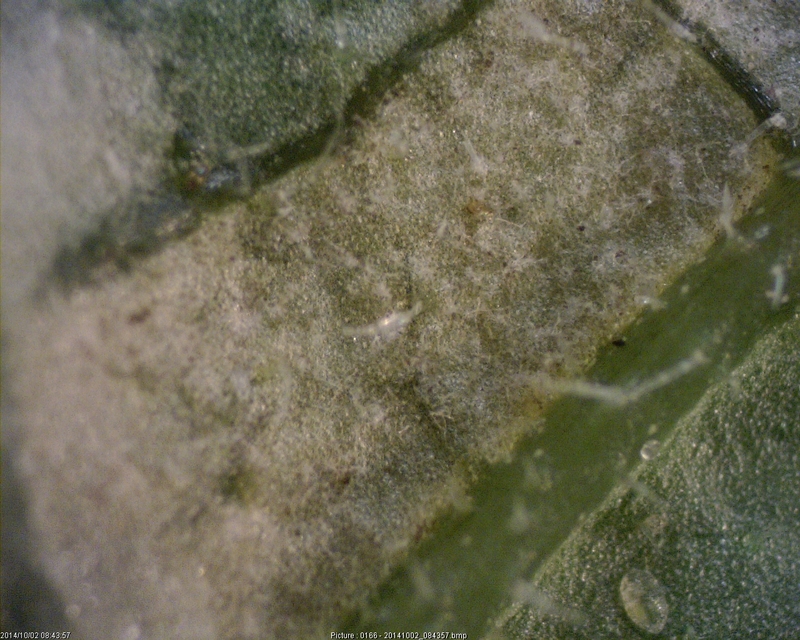 These observations indicate that inoculum of downy mildew is currently in GA and under favorable conditions (cool and wet conditions) potential disease outbreak in cucurbit can occur. 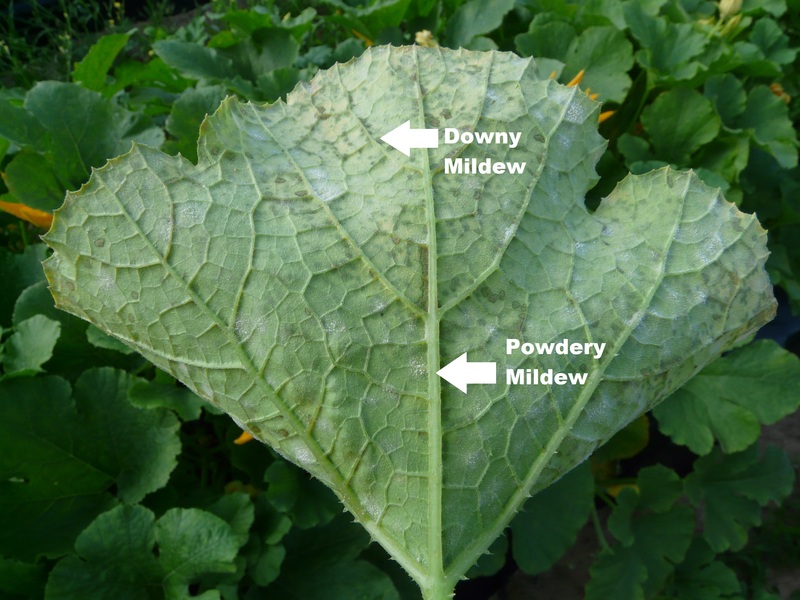 I would suggest our cucurbit growers to look for the downy mildew symptoms in their fields and start applying protective spray of below stated fungicides. Please do not use bravo after fruit set. If Orondis was used as a soil application, please do not use it as foliar (use restriction according to label). 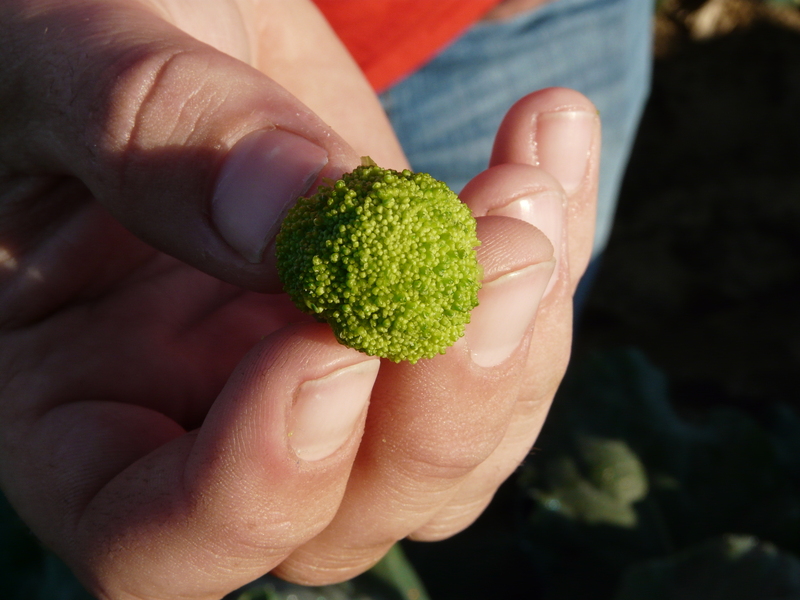 If Orondis was not used as a soil application, foliar application can be done for controlling downy mildew. We sure have quite a bit more vegetable crops planted this season. I’ve been looking a lots of different vegetable set ups. 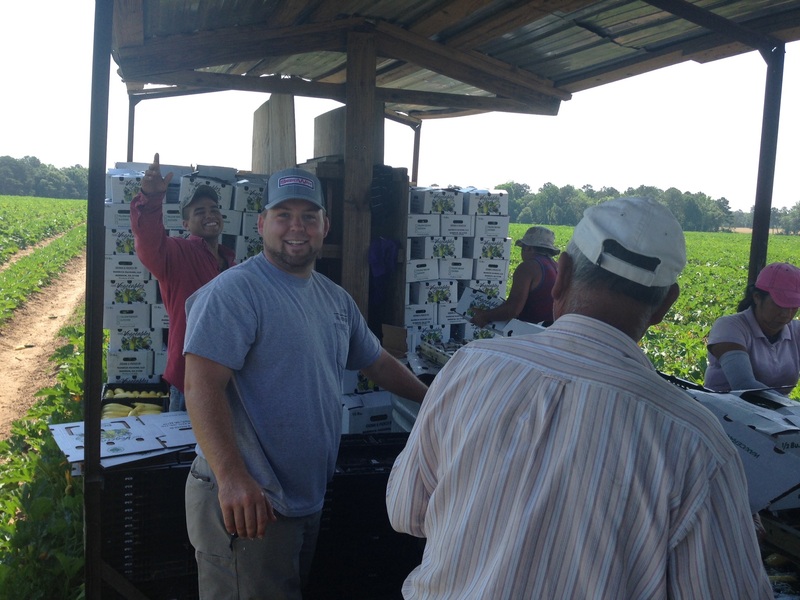 Here is Brandon Barnes who has squash, egg plants and peppers planted this year. He has done a very good job. They picked Yellow Straightneck and Zucchini squash last week. Downy mildew has not been as much of a concern with the dry weather the past 2 weeks, but with rain and increase humidity we need to be aware of it moving again. 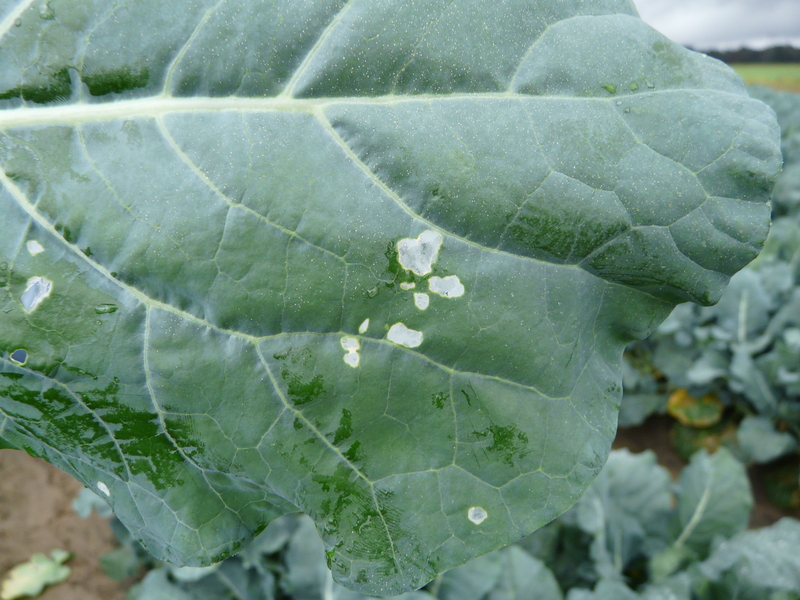 Downy mildew was found in Echols County a few weeks ago when it was still raining and had cooler temperatures. 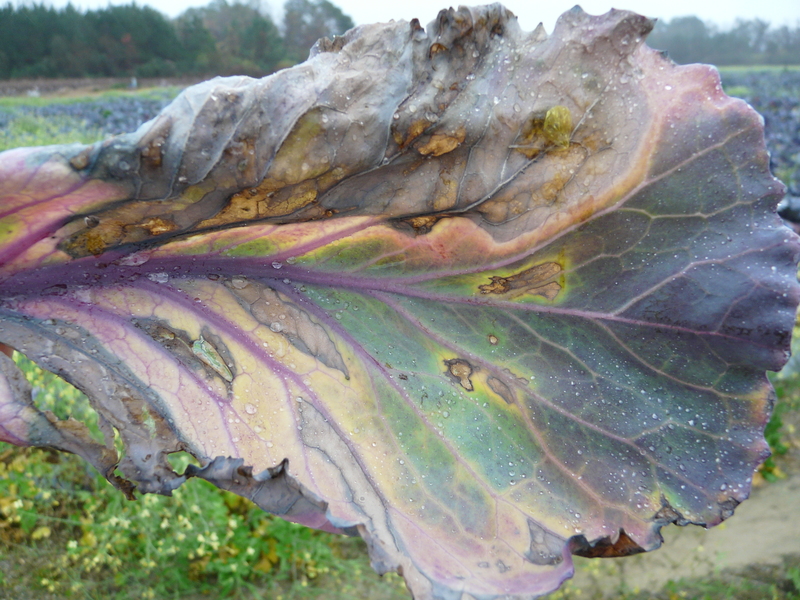 New UGA Extension Vegetable Pathologist Dr. Bhabesh Dutta has this information on downy mildew of cucurbit. 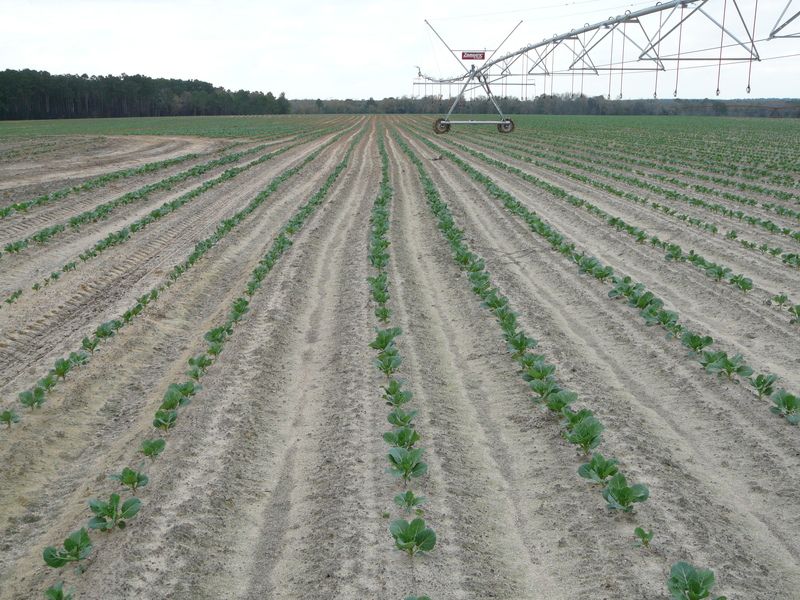 Here are some collards planted at the Thomas / Colquitt County line. This field was planted a few weeks ago and growers are checking for diamondback moths. We were already seeing some moths in buds. Looking for diamondback moths, we also noticed larger plants were flowering or bolting. Bolting is the term used to describe premature flowering in vegetables making them unable to use. Cold spells or changes in day length cause bolting to occur. We are not exactly sure what set off the run to seed in this field, but unfortunately, the crop cannot be used. Bolting can occur in annual and biennial crops. After our meeting yesterday, I met with Colquitt Agent Amber Arrington to look at some vegetables hit hard by freezing temperatures. 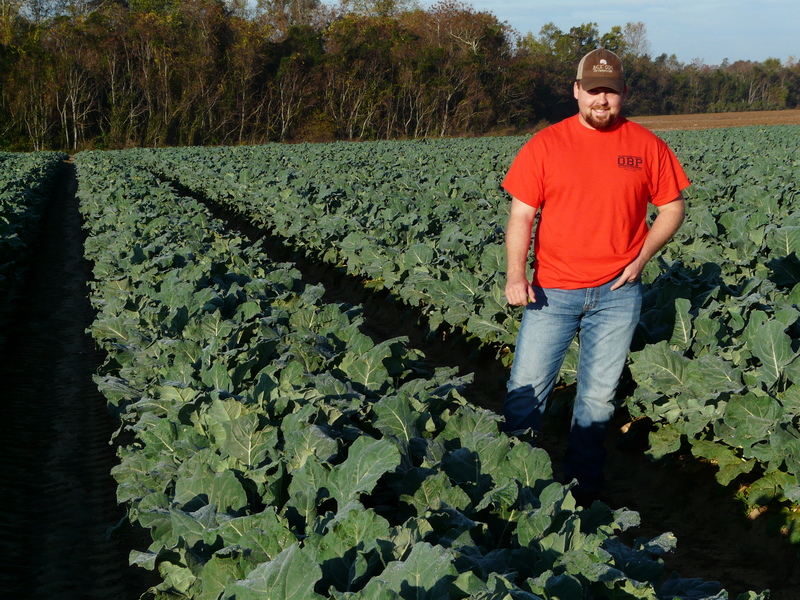 Here is some cabbage just above the Thomas/Colquitt line that was direct seeded last month. Some fields were hit harder than others. This field had a better stand and more plants not killed by frost. 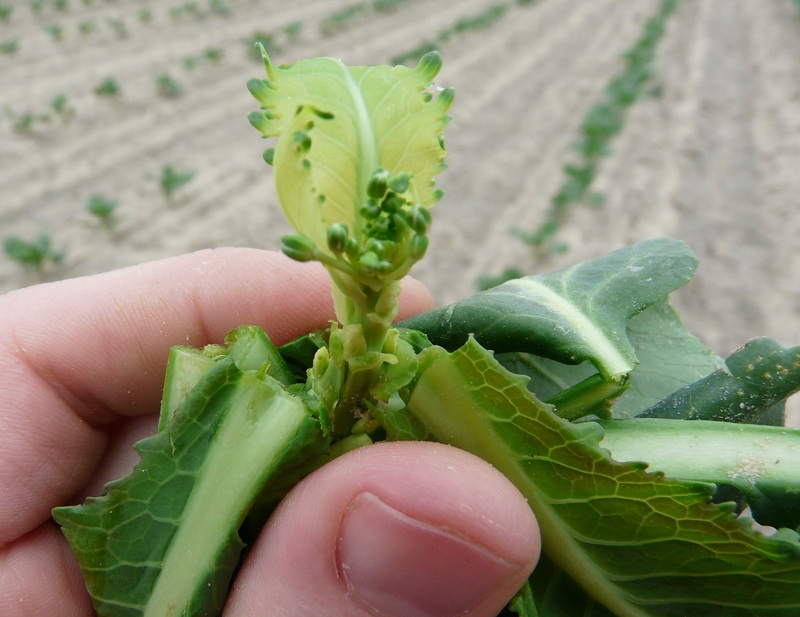 To check for damage, we looked at the buds and also cut laterally into the stem. If pitting is present in the stem, the plant is likely too injured to come out of injury. Sometimes the pitting comes from the knife, so it can be hard to tell. This field was direct seeded to save money on transplanting costs which was the biggest issue here. The drawback is the risk with weed control and freezing temperatures. 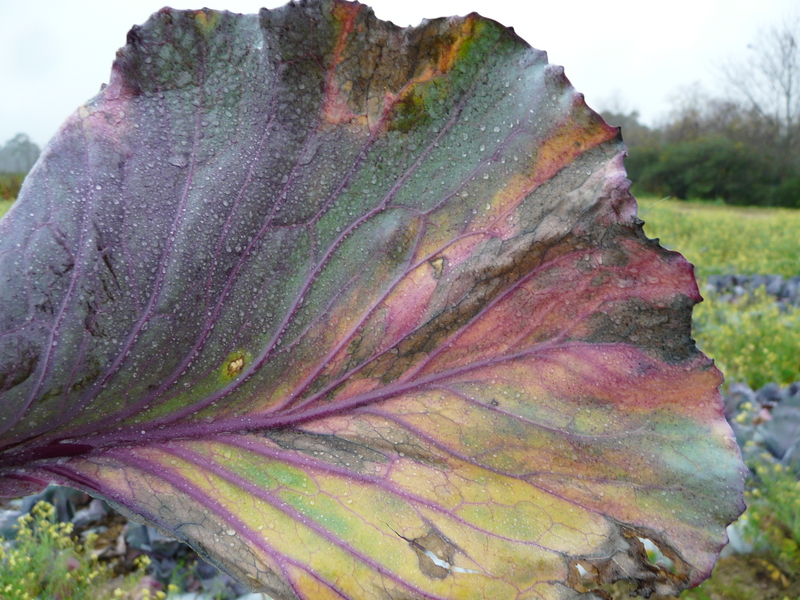 Injury may also depend on the cold acclimation plants get prior to freezing temperatures. Here is also some Emerald Crown broccoli hit by frost. This field of broccoli was planted later than the others and the only one didn’t get cut. The heads are not salvageable now and will not be able to be cut. 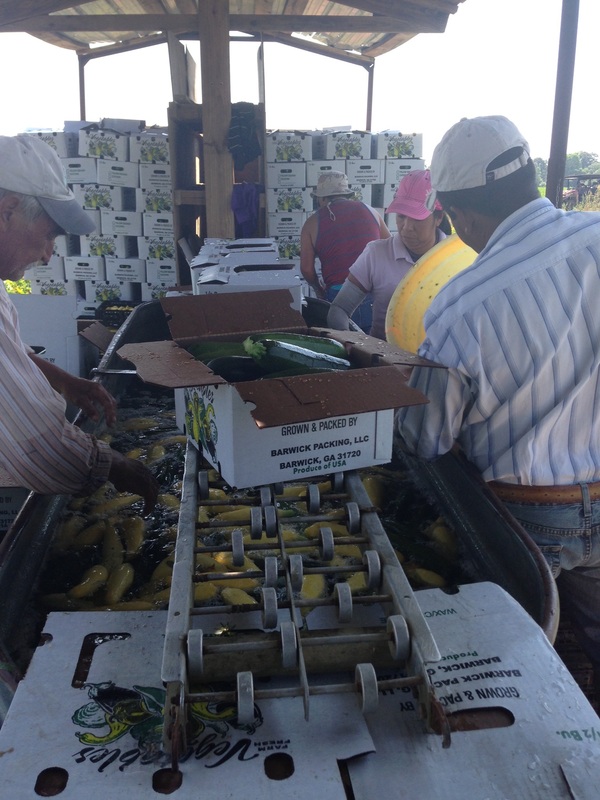 Coming back from our area wheat meeting Wednesday, Colquitt County Ag Agent Amber Arrington and I stopped in Pavo to look at some bell peppers where Tim Flanders had found pepper weevils. These beetles get inside the fruit as it is developing and oviposit. Once eggs hatch, the larvae feed on the seeds. This problem is first noticed by observing spots where peppers are aborted. 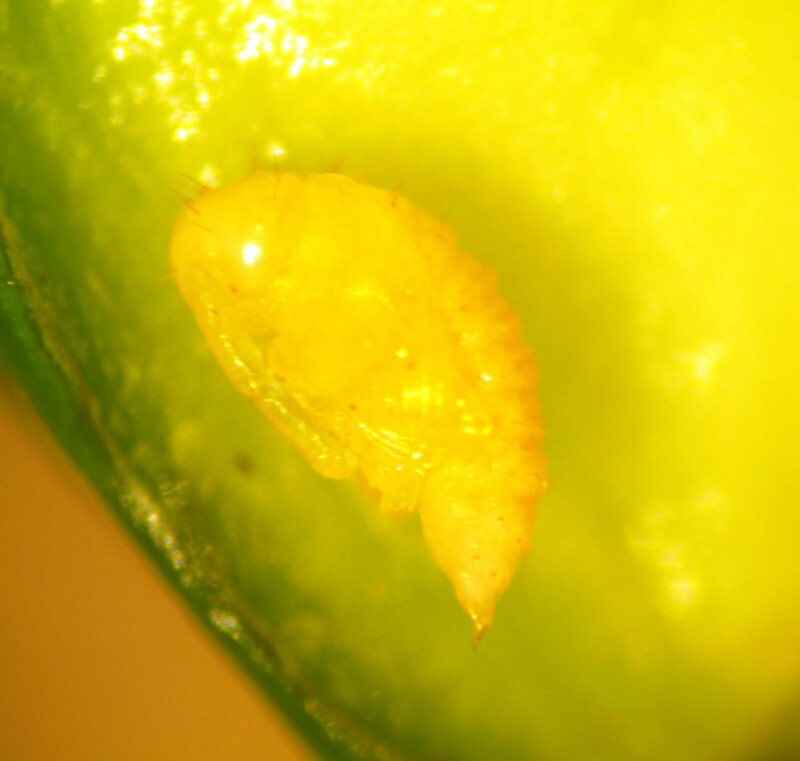 Aborted peppers is not necessarily ID feature of weevils since the plant can abort fruit during dry conditions. Cracking open smaller fruit reveals black frass from larvae (Above). At this point, all growers can do is use pyrethroids to knock down adult weevils. UGA Extension Vegetable Entomologist Dr. Stormy Sparks says they are typically long lived as adults. They can overwinter here during a mild winter. A hard winter like last year would knock them back. Pepper weevils are usually imported. They also reproduce on nightshade. If you have a gap between planting bell peppers, weevils do not do well with heat. 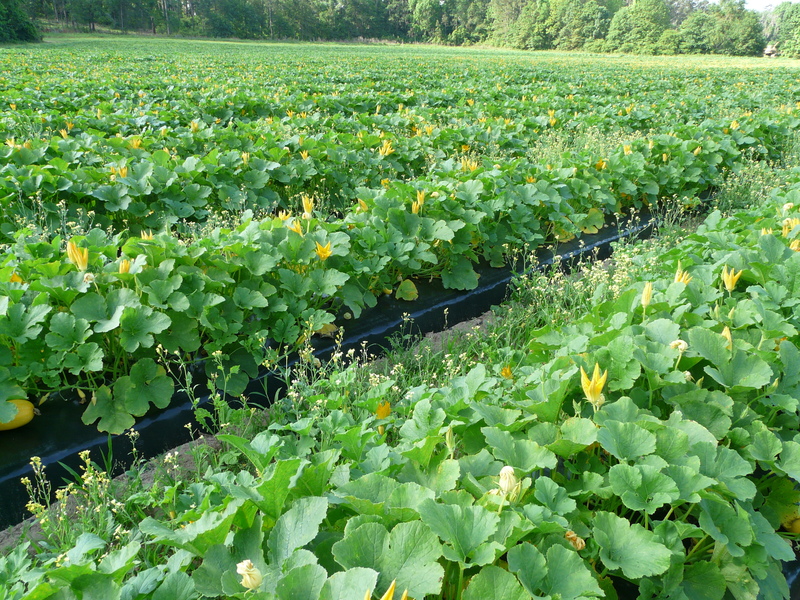 Dr. Sparks advises if planting in Spring to start with clean transplants. If you have a history of pepper weevils, make an insecticide application before they reproduce. They reporudce on buds and fruit, but prefer buds. Make application when you see buds. Prior to reproduction, they feed on leaves. Once the eggs are laid, there is nothing you can do until adults come. Systemic products mostly travel through xylem, but fruit is fed through phloem.